Anti-wrinkle injections is injected into the desired area around the eyes or forehead. This treatment works by temporarily weakening or paralysing overactive muscles causing the lines on the face to relax. Only muscles are targeted, not the actual skin, so results are evident on facial lines and creases caused by squinting, laughing and frowning, as opposed to those resulting from aging or sun-damage. These injections are also used to improve the results of eyebrow lifting procedures. Results are noticeable from day 2 or 3 with the full effect evident by the seventh day. Results will vary depending on the severity of the facial lines – if lines are shallow, they should disappear completely, whereas deep lines will be considerably improved. The outcome from the injections will always vary slightly from patient to patient, but a single procedure should last for at least 3-4 months. In order to maintain satisfactory results, however, repeat treatments are required every 3-6 months. A sedative or local anaesthetic is not used because the pain associated with the procedure is minimal. The procedure takes approximately 5-10 minutes and a small amount of discomfort is felt when the needle is inserted and the liquid injected. The sensation has been described as anything from minimally uncomfortable to temporarily numbing, to feeling like a pinprick or a bee sting. You can return to normal activities immediately after the procedure. The liquid injections can also migrate to adjacent facial muscles causing temporary weakness, or to the eyelid or eyebrow causing drooping which can last up to 5 weeks. To help prevent this, you are advised to avoid lying down or applying pressure on treated areas for up to 4 hours afterwards. 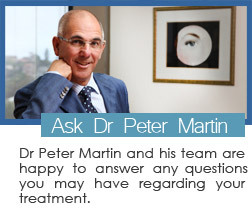 Please ask Dr Martin if anti-wrinkle injection treatment is the right treatment for you. The best candidates for the procedure are those between the ages of 30 and 65. The treatment should NOT be used during pregnancy, if you are nursing, or if you are taking certain medications. 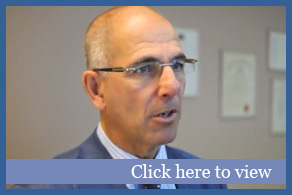 Dr Martin is able to determine the best course of therapy for you. The effects of anti-wrinkle injections may be affected with the use of certain antibiotics or other drugs. Ensure that Dr Martin is aware of any current medications you are taking. If you have any questions regarding the use of this treatment, please consult Dr Martin.